Lately I started prepare mains powered relay board. 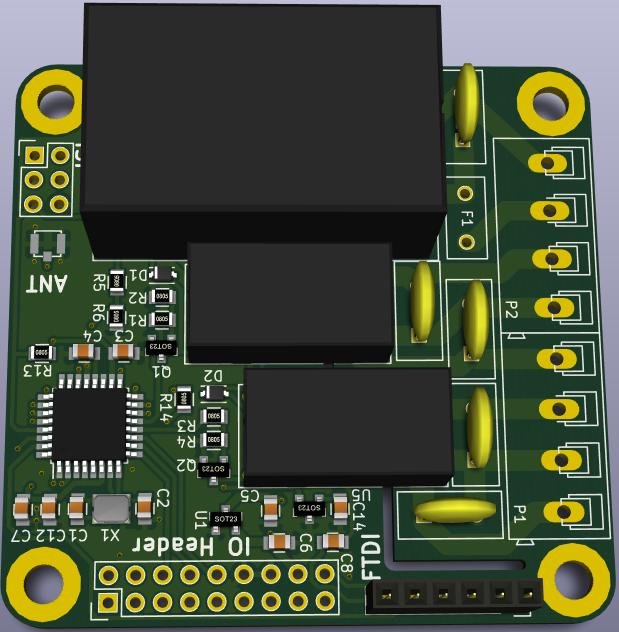 It will sport 100-240VAC switching power supply delivering 3W at 5V. Then two 10A relays, rest will be as usual ATMega328P with RFM69 receiver. PCB design is almost ready and as soon as I get all parts I send it for fabrication. Size will increase to 56*58mm to accommodate all new components. There will be possibility to have onboard thermometer and switching power supply monitor to detect overloading.